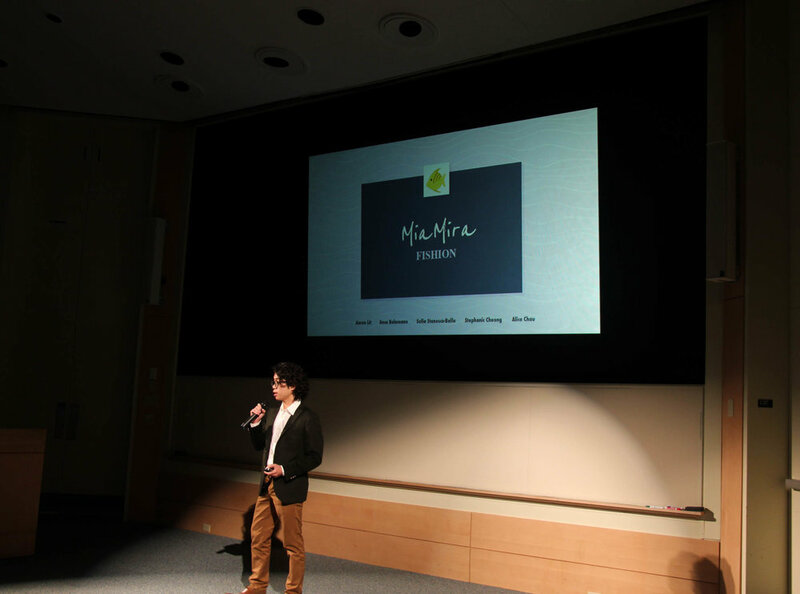 Tuesday’s Pitch event was a huge success! 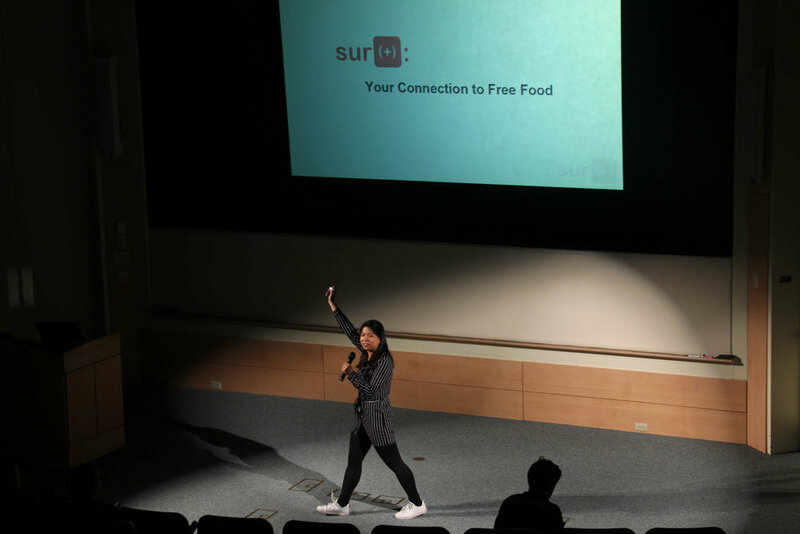 Energy and enthusiasm filled Cook Auditorium as eighteen innovative ideas were pitched in rapid succession. Pitches were limited to 2 minutes or less, leaving time for only the most salient details. Participants were largely undergraduates, as well as Tuck students and Dartmouth staff members. 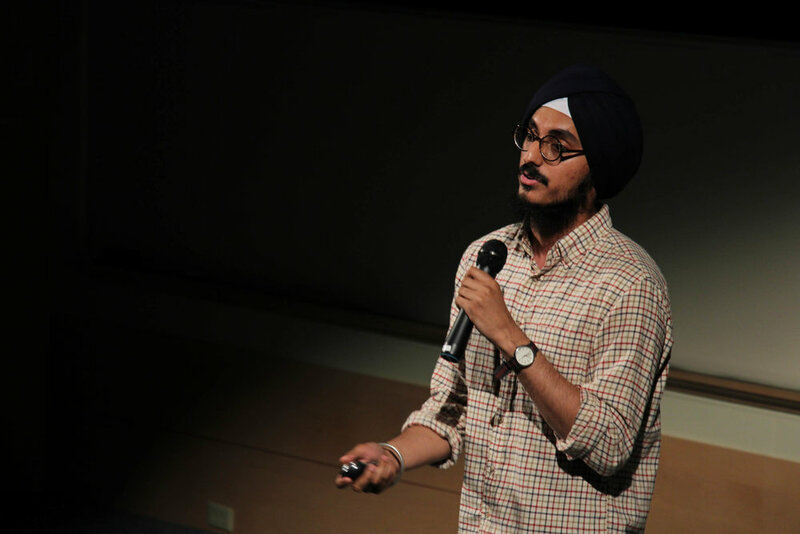 The ideas spanned a broad range of topics including addressing implicit biases, a campus security app, and raising awareness for marine biodiversity through garment design. Six judges awarded four of the five event prizes; the fifth was decided by audience vote. Glean, a news-browsing chrome extension, took home DALI’s team prize and DEN’s 1st place award. 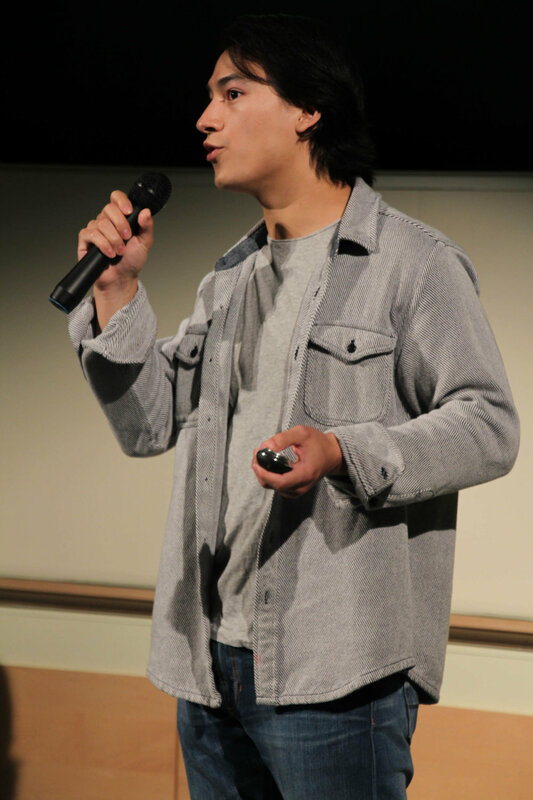 Pitchback, a online tool for perfecting your public speaking skills, won DALI’s individual prize and will become a lab project in the fall of 2017. 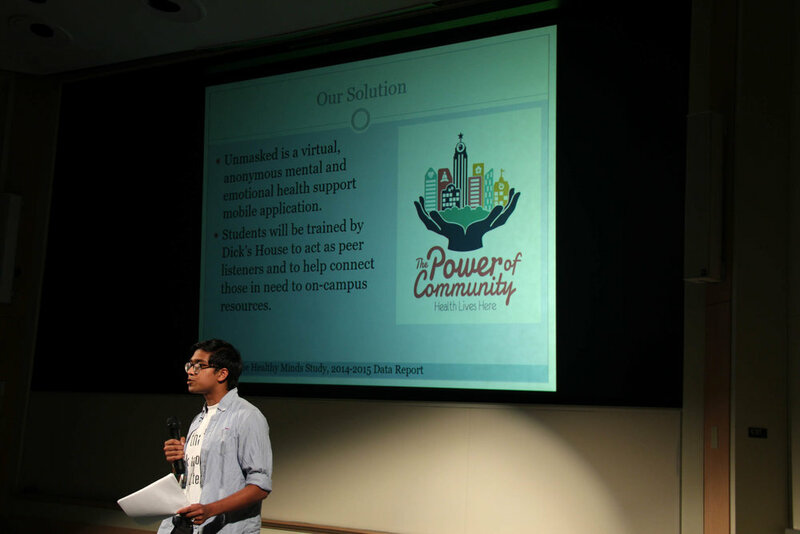 People's Choice award and DEN’s second place award went to MobileMedic, a first-aid app. Every term the Pitch is full of insightful ideas and creative solutions, and this term was no exception. Congratulations to all the Pitch winners and participants! 17S Pitch Winners and Judges (R to L): Pitchback: Sidney Wijngaarde '17; MobileMedic: Matt Moniz '20 and Emma Sampugnaro '20; Glean: Manmeet Gujral ‘18, Alex Beals ‘18, Andrew Ogren ‘18, and Mike Ohene ‘18; DEN Judges: Jamie Coughlin, Emily Boyd, Ian Bateman '18; DALI Judges: Tyler Burnam '19, Adam Rinehouse '19, Abby Starr '19.